Last night I was teary. We are heading into the month of Autism Awareness and with the numbers on the rise, especially in New Jersey I felt overwhelmed not knowing how I can help children like my own. Frequently, my oldest comes home with stories of children using the word "retarded" and just yesterday my second oldest came home with yet another story about a boy in her class and his mockery of the word. Thankfully that second born is a force and she has got a brood of girls behind her that will NOT allow that word to get far. She and a friend put him in his place. Sadly though, I don't believe these children are doing this to harm or hurt others intentionally. However, I do believe we as a society are not educating our youth at the pace necessary to make a difference for today's generation. Coincidentally, after a good hearty cry, I got a message from a parent in our district with a young child. She wanted to know how she could help her daughter to understand others with different abilities. I felt this was a sign. Earlier this week I spoke with another mother, who shared once her kiddos knew about a child in class with differences her child was able to cope and support the individual as they truly needed. These encounters lead me to believe that we as a society need to press fast forward on compassion education and do so now. In New Jersey alone the number of children with Autism is 1:34, higher than the national average. I am often asked why. I don't know. Perhaps its our forward thinking physicians or perhaps our well known schools but perhaps there is more understanding about what makes a child uniquely different. Again, it also means we need to light a fire under ourselves and get moving towards acceptance, as I truly believe we are all aware of autism. 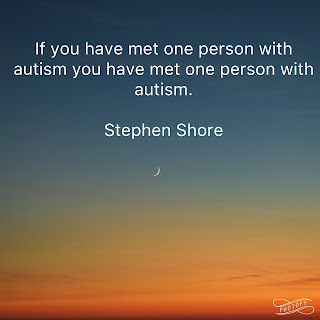 My favorite quote about autism is by Stephen Shore, he states, "if you have met one person with autism, you have met one person with autism". Its true. My daughters journey is different from the next child with autism and although she may share similarities with others, her individuality is one thing that makes her unique. For Seraphina, she doesn't fit "the mold". It is one reason we had such a difficult time having her identified but reality is, in other ways she could be the poster child for an individual with challenges on the spectrum. So if you see us in public, you may notice nothing or you may notice her inability to understand personal space. She may climb into your lap, stroke your hair and face and hold your cheeks in her chubby little hands while she studies you. If she's lucky, you get it and while I try to motivate her to keep to herself, you allow her to love on you and I feel at ease. On the flip side, if she is living in her little world, she may ignore you completely. She may not even notice you are there and may even hurt your child's feelings ignoring their need to interact. Both of these instances happened, this week and both are pieces of her autism that present themselves at different times. They are uniquely her. As we prepare for Autism Awareness Month, I am now focused on Autism Acceptance. In both these instances this week, those involved understood, and they showed their love and support but allowing her to be uniquely herself. These individuals got it and it is my goal to help you get it and share with your children so they too get it. Each of us is unique and has quirks within our own life that make us the person we are intended to be. It is no different with a child or adult on the spectrum. If you are unsure how to talk to your child, I have a few tips that may work for you this month to embrace the piece of the puzzle that makes our life different. 1. Be Kind. Always. To everyone. I always tell my children you don't have to like everyone, you don't have to be friends with everyone but you have to be kind. 2. Its okay to ask. I prefer questions. I am happy to share, I am willing to tell our story. Yes, others are more reserved and that is okay too but my hope is by allowing you in our life, if you or your children encounter others with autism, they may be more aware and understanding of their needs. 3. Be honest. The best thing I have ever heard was my son sharing with another "my sister's brain works a little differently but she's amazing". All our brains work differently. It is why we have scientists and police officers, nurses and artists. We are all created different and in those differences, our world is a better place. 4. Accept our kids. One of my biggest fears is when my child isn't accepted. She may not always want to be included and I am very cautious to make sure I try not to impact others children in a way that is negative with my child but when she is accepted, my heart soars and it gives HER the opportunity to grow. This occurred for us recently when I asked the mothers in our dance class if they minded if Seraphina join in the recital. Both mothers looked at me like I was crazy and it felt good because it meant they accepted her as who she was with her talents and gift. If you still want to know more? Familiarize yourself so you can better be able to open the line of communication with your family. Here are a few links that I recommend for the upcoming month. Since we are all aware of autism, let us be leaders and take the next step. Let us teach acceptance. Kerry Magro and his new post, 59 Things To Know About Autism for World Autism Month. Organization for Autism Research has a great Kit for Kids to help support your children in understanding others. 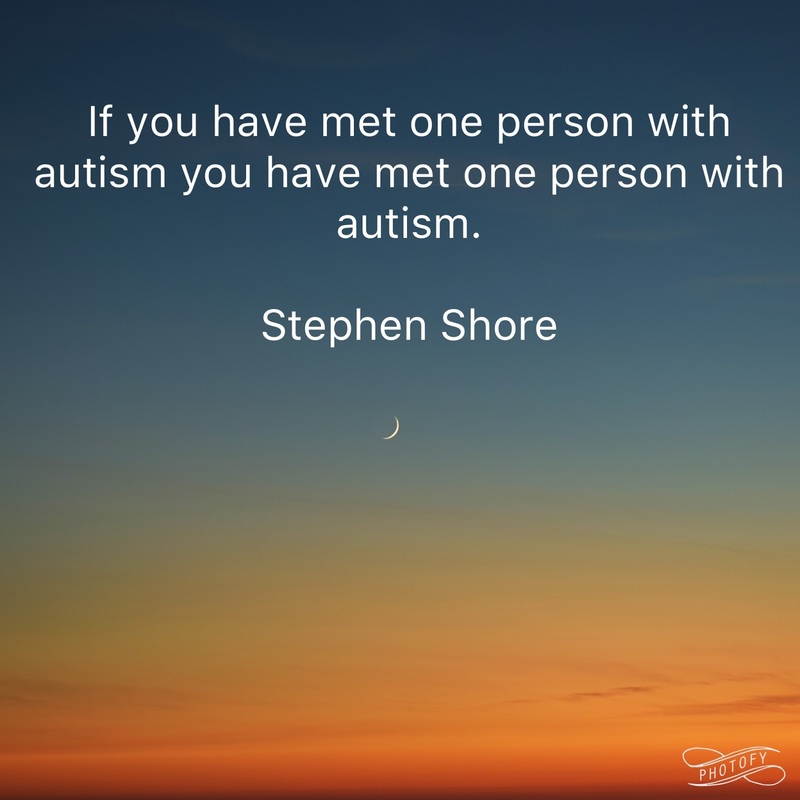 Visit Autism New Jersey for resources and understanding. And finally, follow us on Facebook and don't forget to Light It Up Blue on April Second! Thanks to Blazy Blue Creations, our family will be good to go! Looking for your own autism merch, reach out to Becky, I am sure she'll help! Today I returned to Facebook. It was done with intention. I am wading my way through the new amazing Rachel Hollis Book, "Girl Stop Apologizing" and as I read, I realized that my purpose has been set in front of me but I have been too fearful to say "yes" to the call our Father placed me on earth for. For years, I wondered what my purpose was. In 1992, my first written piece was published. It was a poem and it was written one night in my bedroom lamenting the difficulty of teen angst and was probably fueled by my adoption or some boy or perhaps my lack of popularity. Most nights, I scribbled feverishly and have journals and diaries to prove it. I wrote it all down, in fact you can chronicle much of my very mundane, boring life between the bindings of many, many notebooks and even today, as I write, there are at least four journals sitting in my bed, waiting for words to be written. Some of the words are delicate and gentle. They speak of the beauty of the world, the gift of my family and the hope for my life. 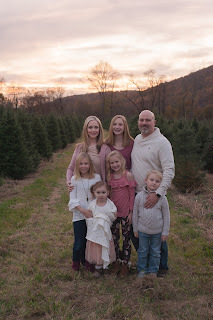 Some are written in anger, penning the sadness and strife of the struggles that have come across the days of my life and still some are almost comical with notations about my children and their antics. For those who know my son, I could probably go on tour telling "Jude" stories. Even as a young teen, people said I should write. For what? About what? Who would want to read what I said? As time has gone on I have written, spoken, been published and been denied. There is a secret file of books denied time and time again by publishers even when I thought the idea was one that made sense. Honestly though, my heart was never in those works. Many times I have been asked to write about different topics. Write a book about being adopted, meeting your birth parents, your family's struggles but nothing seemed right. That being said in the last three years, in many of these bound journals there are stories, stories of acceptance, stories of sharing, stories of understanding, growth and compassion that I wouldn't have known had it not been for the diagnosis of Seraphina. About six months ago, I looked up publishers, in fact I even wrote them down, some that I felt would want to hear the story of beauty in darkness about how a family created a life living with a different path that was expected, trying to keep the faith and building a team around a child that taught more in her days than an adult could teach in months. That list, it got filed away because I wondered what would happen if I sent a query and was denied yet again. Would it be denial that our story had value? Would it be denial that I wasn't a good writer? Would it be denial that others couldn't relate. Initially, six months ago, I wanted to focus on autism, acceptance and the journey to it but in the last few weeks I realize like the spectrum of autism, the journey to acceptance is mixed with joy, laughter, sorrow and tears. The wave of emotions that fills a parent mourning the loss of the child they anticipated and learning to accept the fact that they were in fact EXPECTED to be more than the parent they ever believed they could be is overwhelming. Still, here I sit, a few days away from April, Autism Awareness Month and just days away from the day when lovers and friends of children and adults living with autism, "Light It Up" blue to show solidarity and support and I realize, that fear, it has to be set aside for I wouldn't have the TEAM behind my child IF I didn't have someone who was willing to walk this journey with us. I realize there would be no TEAM if people didn't choose to become educators, therapists or physicians for children who live with disabilities and medical differences. This Team I have built in nearly 4 years has changed. 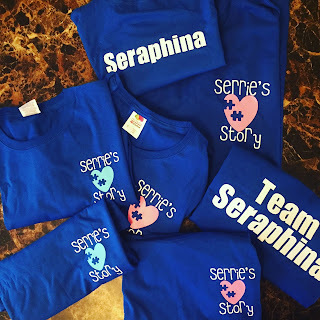 There are so many people that belong to Team Seraphina, I realize I would be remiss in not acknowledging the gift that we have been blessed to see learning to love a child who lives life with a different point of view. So, today, I set out the clothes for our day of support for our child. I looked and thought if I could buy a shirt for every person who has checked on me, heard my tears, laughed with me, supported my child, supported my other children, wept with us, cheered with us or just plain didn't scoff at us, it would be a sea of blue and so I realize that its time to write, not out of fear but out of thanksgiving for those willing to join us on this ride. As we enter into Autism Awareness Month, my hope is to share some of the life we live but also educate on being aware, understanding and accepting of others on the spectrum and in my quiet moments, I will be setting my fear aside, drafting the query, typing those chapters and choosing to share our story in hopes that one day the gifts that we experience will be more easily recognized by others in this world. It has been just about a year since I got past my fear of pain and realized that the word that embodied who I needed to be for my child needed to be etched on me forever. As I anxiously awaited my turn to sit on that table in what was thought to be one of the best tattoo parlors around, I wondered how I would feel a year after the doodle. Would I be mad at myself? Would I be conflicted? Would it be a reminder of the difficult moments we have faced? Truly, its none of that. I don't have regret nor am I mad. 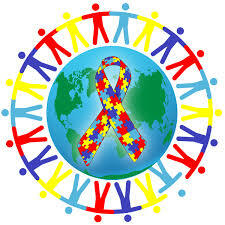 In fact as we enter into the month of April, I am proud to be the mother of a child with Autism Spectrum Disorder. Still, there are moments when just saying those words takes my breath away. I think back to the first time I truly thought about autism. Strangely enough, it was here in New Jersey as we dragged our entire family out last minute to find a home in a little town north of Clinton and found that when you buy a home in New Jersey, you are often "stuck" until you are through attorney review. We couldn't leave so we made the best of it. After a busy morning of making an offer on the house we had to see, we drove our three littles, sleep deprived and grumpy to the Flemington Outlets. I reminisced about my own experience on the "little train" also known as the Black River & Western Railroad as a child waiting for my mom to shop while my dad took me for treats to Ringoes and I had those memories close to my heart, for I was always my daddy's girl and those special rides (and sweets) were special times. Wanting to share the same with my own children we headed there thinking it would be just as it was in 1989, however, it wasn't. In fact, the train didn't even ride every day or every weekend but strangely, it was riding that day. Not only was it riding, but for a cause. The cause was Autism Speaks and though tickets were at a premium this was our first "real vacation" as a family and we chose to ride the train. Little did I know, years later, that train ride would linger in my mind as the first time I ever laid eyes on an autism pamphlet and how today I could rewrite it myself, with first hand experience. That isn't our story. Today, we are on that ride, except this time, its the ride of our life. We are living and learning through the challenges of autism. Last week, it was a week. I had talked to someone who knew the road I walked as she too walks beside me. She was the one who told me the first year was the hardest. Perhaps, like marriage, it can be. You are getting used to new things. New interventions, new medical jargon and trying to run at a break neck pace to help your child, the one who is living a life that will have more challenges than you ever wanted for them but moving forward, it does get a little easier. In a way, or maybe you learn to cope a little better. Maybe you aren't afraid of the unknown anymore. Reality is, like the poem titled Welcome to Holland, by Emily Perl Kingsley if we don't stop mourning we will never be able to see the beauty in a place we never expected to be. Last week was one of those ugly weeks where I wished I was in Italy, with all the other parents enjoying soccer games and gelato but instead I was wading through the darker days of autism, a reminder of added diagnosis and the understanding that no matter how good I am with children, as I have been told all my life, nothing will take away my daughter's autism. Five years after that first train ride, I took this photo of my fifth child, that haunts me, the one that I knew she was gone. The child we had watched grow until almost two years old slipped out of our hands and into her own world. Still, I see the same beautiful child I dreamed of in my pregnancy. Looking at her almost four years later, I see the hard work and effort its taken to find the little girl who drew deep within herself and I have learned to celebrate the small moments when she chooses to show us the brilliance she holds within. This photo, taken in my favorite place on earth is bittersweet. This child is the reason for who I am today, someone so different from the woman I thought I was meant to be. This single child, has changed me more in five years of parenting than all the parenting years I have with my other children compiled. It is no coincidence that I took this photo in Ocean City. This place holds the most sacred memories, time with family, my cousins, my uncles, my aunts, time with those whom I love and adore, some whom I have lost and some whom I wish were here with wise words right now. Today, we share this sacred sea town with my children and this most sacred, serene place is the place I knew, my daughter had autism. It was the place where I knew I had to leave to make another call to Early Intervention and yet another doctor. Today, this place is the one place I find peace on earth and I believe that I felt her diagnosis presenting itself to me there was a gift, a reminder that one day, I would learn to be at peace with living a life not planned, even when I dreamed a life so different. As we move into April, Autism Awareness month, it is my hope to share the journey we have been walking. The good, the bad and even the silly moments of life in between. You see, pink is my favorite color but since walking this journey by Seraphina's side, I have grown very fond of blue. I also believe that we were chosen to raise her and share her story to help make a change for the future. It is my hope to educate so that one day, when a mom hears the words, "autism" or "disability", instead of crumbling into the ground beneath her, she will know she can turn to the most supportive group of people who will love her, her child and entire family through their trials, they will join in and celebrate their triumphs and choose to light it up blue in honor of their journey. I ask my followers, friends and family on April 2, to Light it Up Blue, not just for people on the spectrum but for those who are siblings of people on the spectrum, loving them as only brothers and sisters could and for those parents that stay up, learn as much as they can and grow to be shadows of who they expected to be but realize in living with a child on this journey they were meant to be so much more.